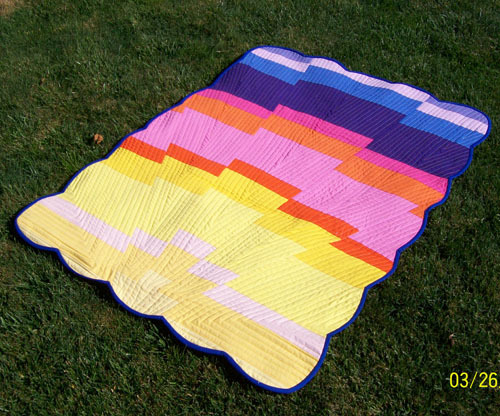 Thanks to all who sewed along with us for our Sunrise Baby Quilt Sew-along! Oh, but don’t fret if you love this project and didn’t sew with us, all the project instructions for each week are still available for download. We loved seeing how you created your very own Sunrise Baby Quilt, and if you shared a photo with us you’ve entered our super goody-bag giveaway – and we’ll announce the big winner at the bottom of the post! 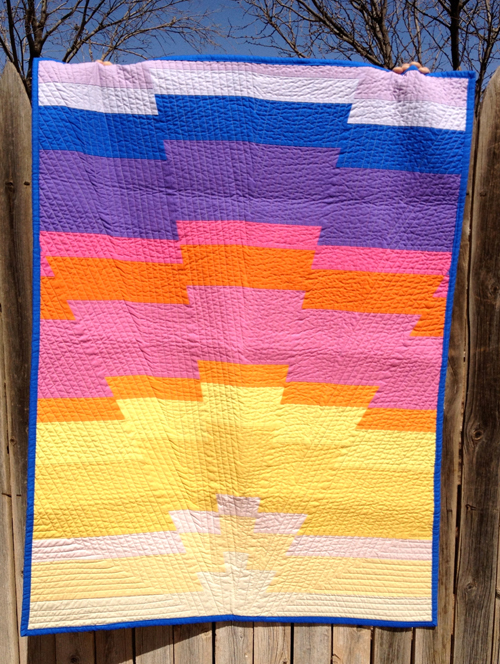 Melanie Lukic – As soon as I saw this quilt, I knew I had to make it! 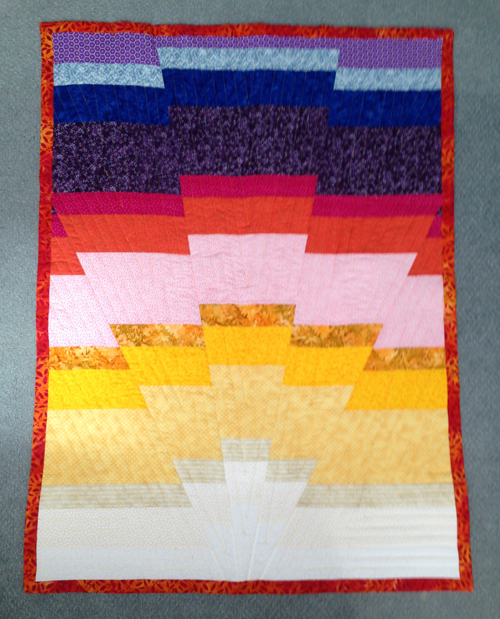 I am still quite a beginner quilter, and I was so impressed with how professional this completed quilt looked. In fact, I even made a second one almost immediately which a friend bought for a baby gift! 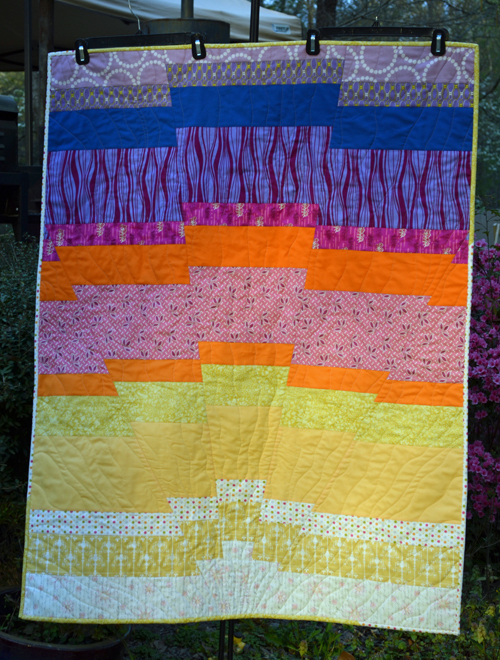 Ramona Putnam – I’m in serious stash busting mode and used a mixture of prints and solids instead of the fabrics suggested. I did try to stay on hue (not always with success). I also fudged on quilting and went with wavy quilting instead of straight line. This was a fun quilt. Thanks for putting this together. 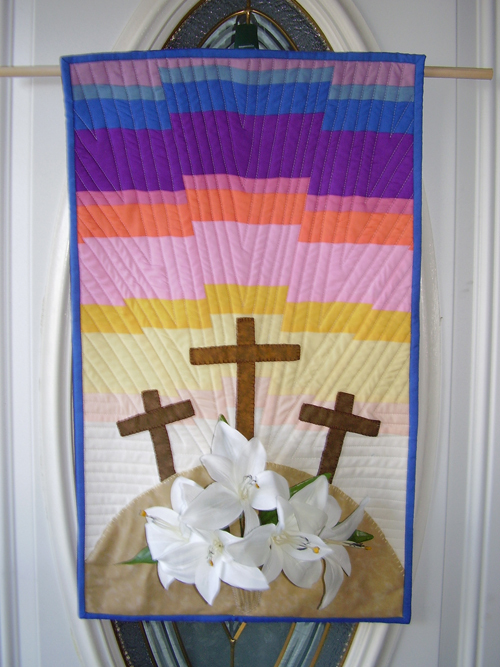 Julia Chrisman – I changed the dimensions of the quilt to make the sunrise background for my Easter wall hanging, “Then Came The Morning.” Thank you for the inspiration! 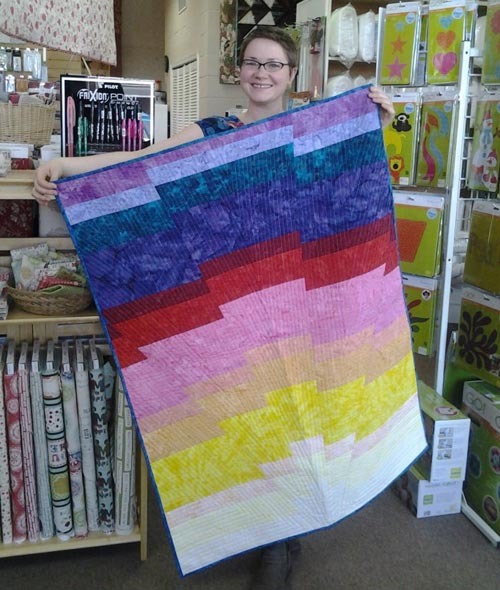 Amy Mikeska – I loved the quilt and got three other staff members in the quilt shop I work in to do the sew along with me. 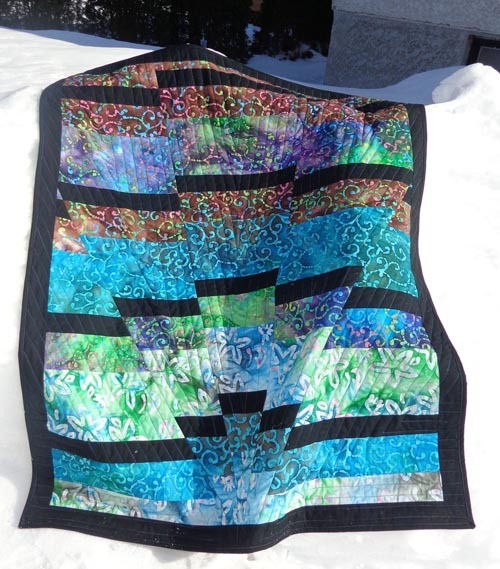 We all had such different finished quilts – lots of fun! And the winner is…. Melanie Lukic! Congratulations – a bag of goodies is on it’s way to you!